The Toronto Real Estate Board reported a record number of home sales for the first quarter of 2016 following a strong result for March transactions. There were 10,326 sales in March and 22,575 sales in the first quarter. The year-over-year growth rate for sales was 15.8% for Q1 2016 and 16.2% for March 2016. 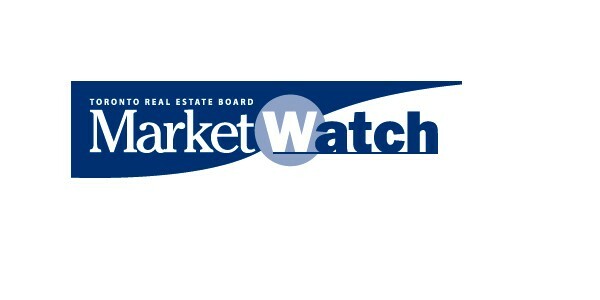 For the TREB market area as a whole, double-digit year-over-year rates of sales growth were experienced for all major home types during the first quarter. "At the beginning of 2016, TREB's outlook for the year pointed to a strong possibility of a second consecutive record year for home sales. This outlook was based, in part, on upbeat consumer survey results pointing to robust home buying intentions. It is clear that these upbeat intentions have translated into record first quarter results," said TREB President Mark McLean. The MLS® Home Price Index Composite Benchmark for March 2016 was up by 11.6% compared to March 2015. The average selling price for all home types combined was up 12.1% year-over-year in March and 13.6% in the first quarter.